I’m sitting here with that tired but satisfied feeling you get after a lovely long walk. I’ve got my my feet up, a glass of bubbly at my side, the Rugby World Cup on TV and feeling super relaxed after a hot bubble bath in the safe knowledge the children are snoring upstairs – the perfect end to a great family day! After a run of very quiet weekends, we decided to make the most of a clear Autumn day to visit the London Wetland Centre. We’ve been once before when Alex was small, but I’d forgotten what a wonderful place it is to visit. It was super easy to get there by train, so it wasn’t long before we were begin to explore the beautiful network of paths and lakes – within seconds we forgot we were 10 minutes from Hammersmith! 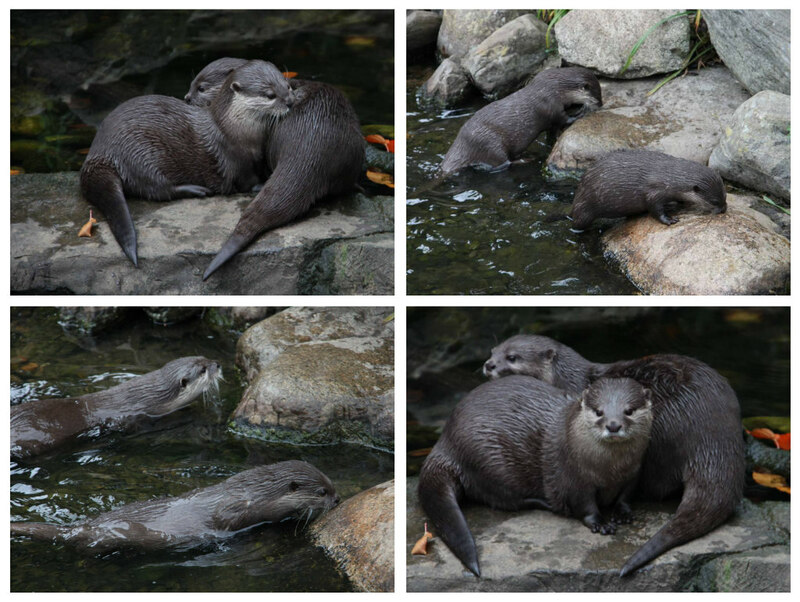 Alex was keen to see some otters, and we were incredibly lucky because we arrived just in time for the otter feeding – so he was delighted to get up close to a beautiful pair. After the otter feeding, we meandered around the paths – the children generally managing to stay quiet enough not to scare away the huge range of birds around the reserve! They did a brilliant job stalking a pair of ducks together! 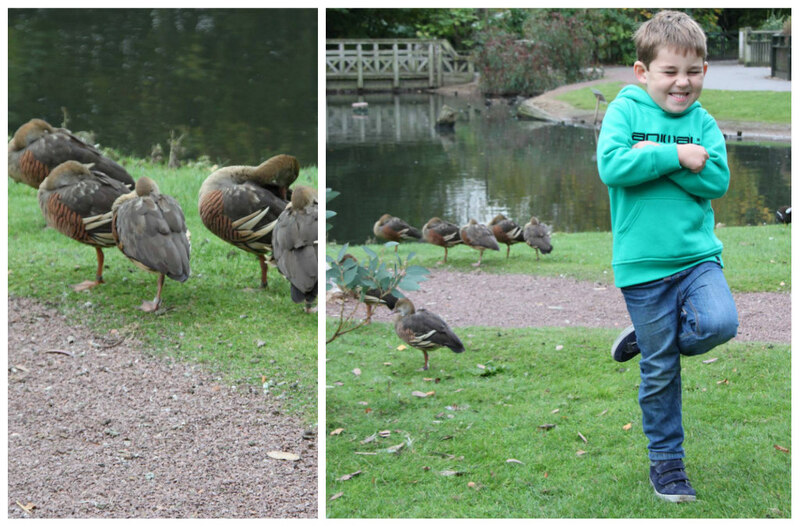 Alex loved that lots of the birds slept on one foot – and had a go himself! Sophie wasn’t interested in sleeping, and just ran and ran and ran! 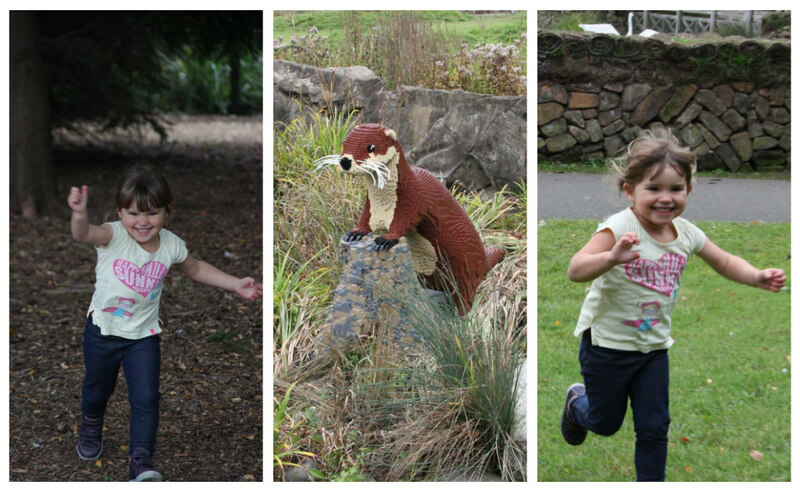 She and Alex loved the lego animal hunt, looking out for the amazing sculptures around every corner. Sophie’s favourite lego animal was the dragonfly (mainly because dragonflies feature in her current favourite book which is all about bugs – a delightful bedtime read!). I loved the insect hotel habitats and the living fences! 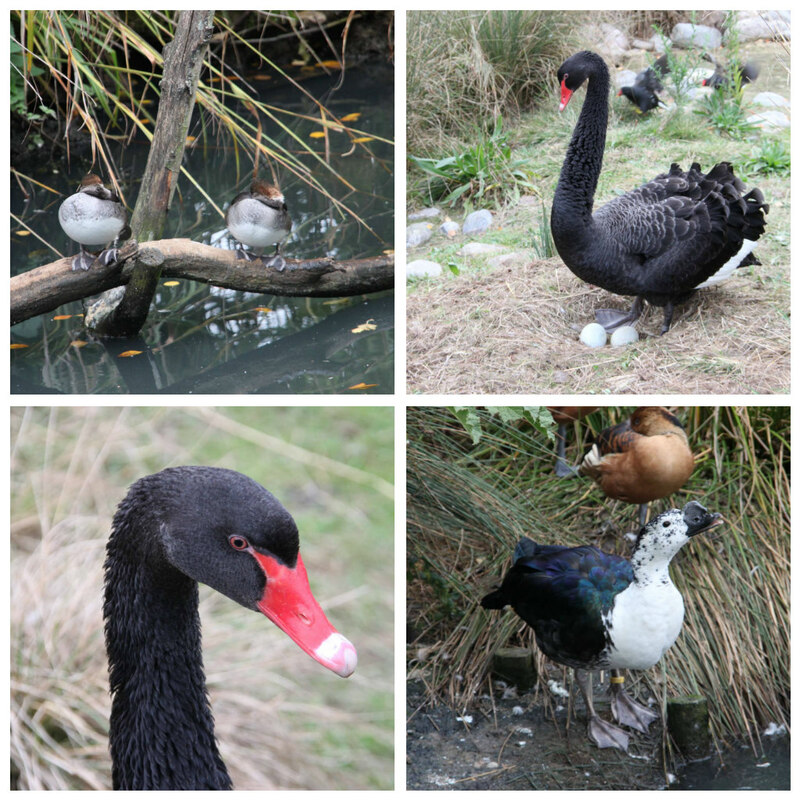 It was such a treat to get so close to so many species in central London – our ornithological knowledge is sadly not good enough to recollect them (which makes me feel ashamed as I was once in the Young Ornithologists Club!) 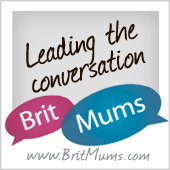 – but they were stunning! 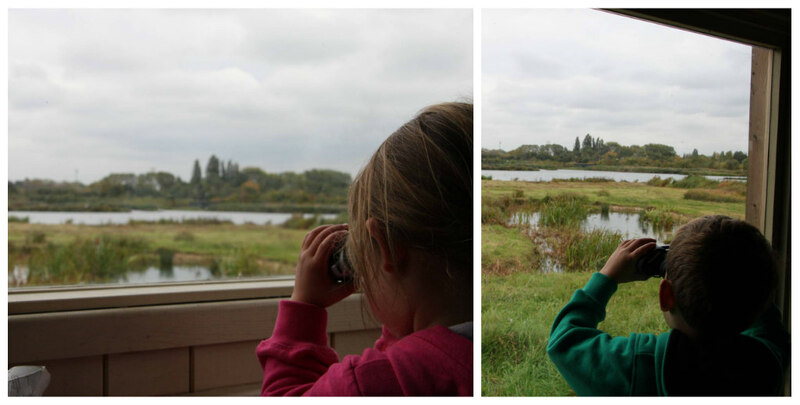 We even spent time in some of the hides – and Alex and Sophie had a go with the binoculars to get a closer look. Alex was very excited to see a Great Crested Grebe catching and swallowing a fish whole! 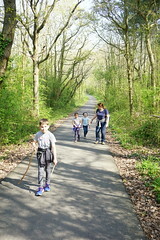 Despite the amazing wildlife and beautiful walking, the children’s favourite part of the reserve was the lovely little explore zone. And they had a point – it was fabulous. A really natural play area, reflecting the habitats surrounding them perfectly. There were loads of tunnels for them to burrow through, and a “river” with loads of different crossings – including rope swings and narrow bridges. My thrill-seeking pair adored the zip wire, zooming along on their own repeatedly until we persuaded them to leave on the promise of some cake! 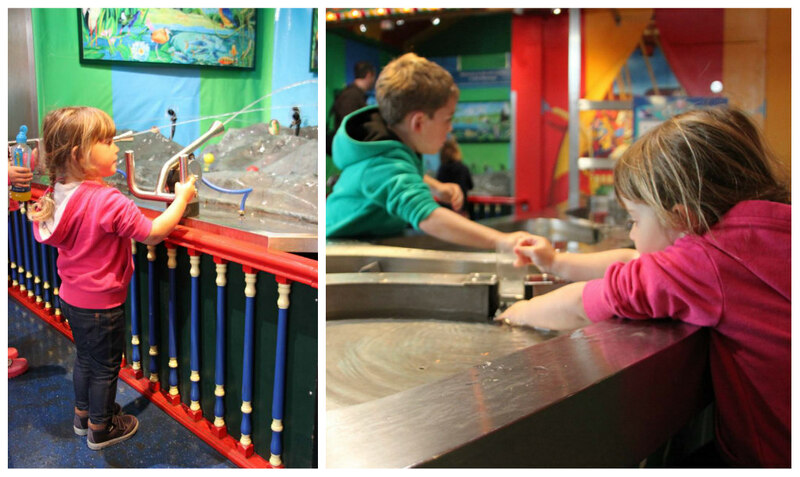 But just before we found cake, they spotted another hidden indoor playzone – again water themed with dams to build and water sprays to fire. Thank goodness the cake was appetizing, or we’d never have been able to drag them away! 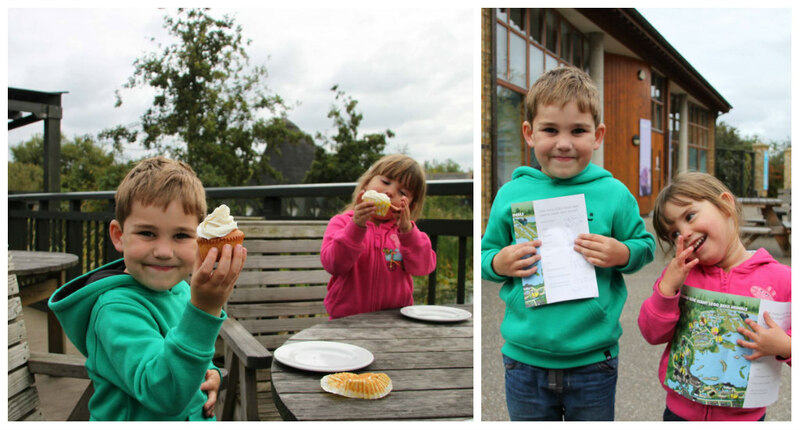 We finished our day with lego themed cupcakes and a little bit of maths as we completed our lego challenge, counting up the number of bricks used on the sculpture trail! 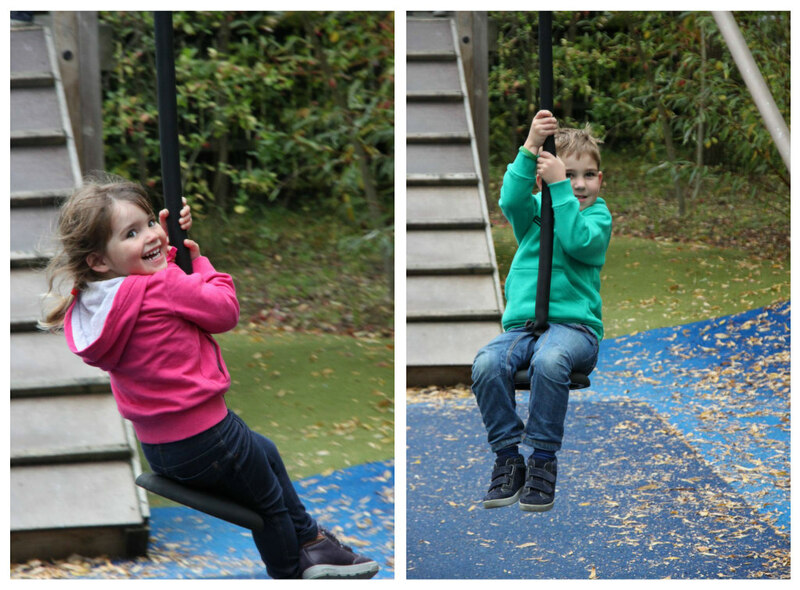 Alex and Sophie (and to be honest, us grown ups too) were exhausted at the end of the day – but so satisfied to have had a wonderful, outdoors day in nature so close to our home in central London. 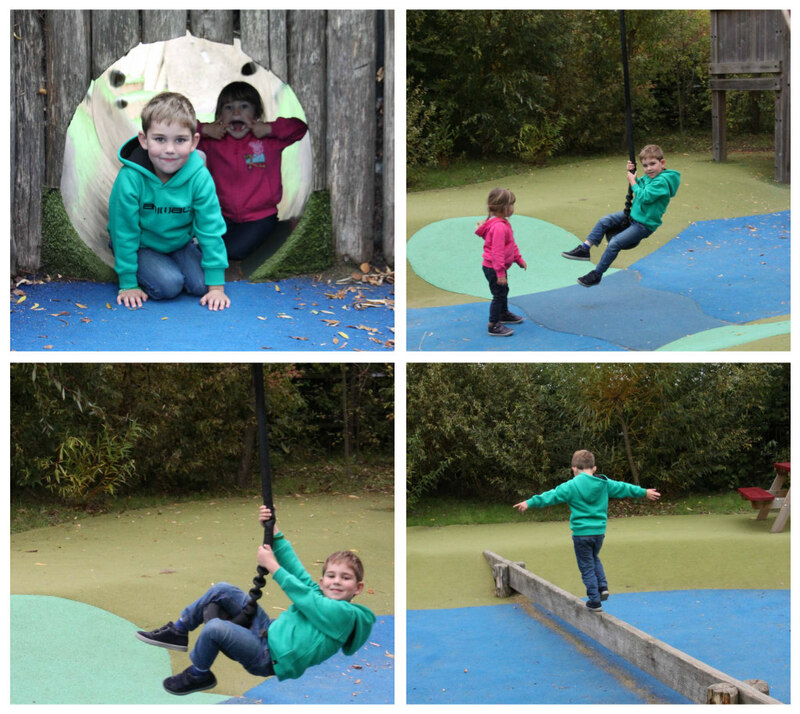 I am firmly of the opinion the the London Wetlands Centre is the best place to take kids in London, at least in part because it is almost as enjoyable for me too. I miss it. 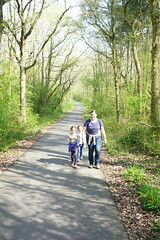 The Lego trail looks like a great addition! How lovely that the countryside can come to London, a place I perceive to be a sprawling metropolis.